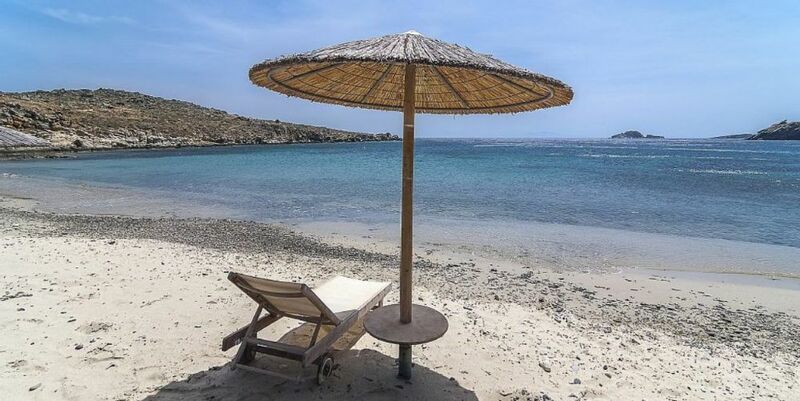 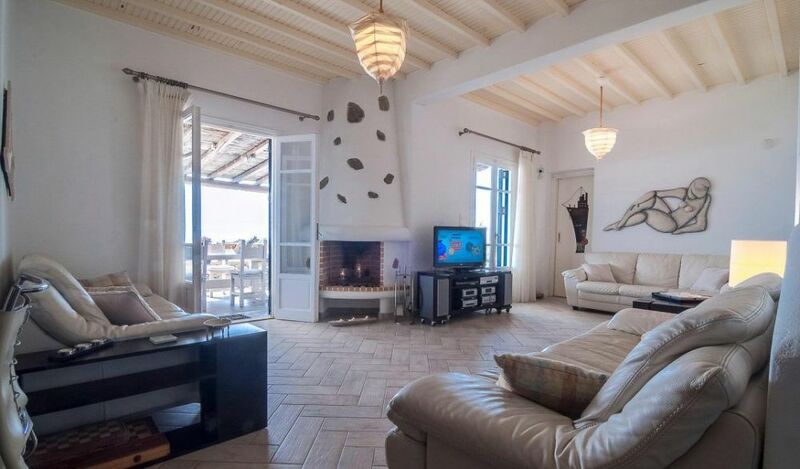 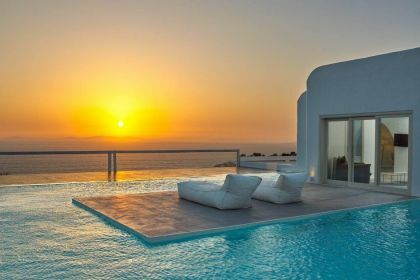 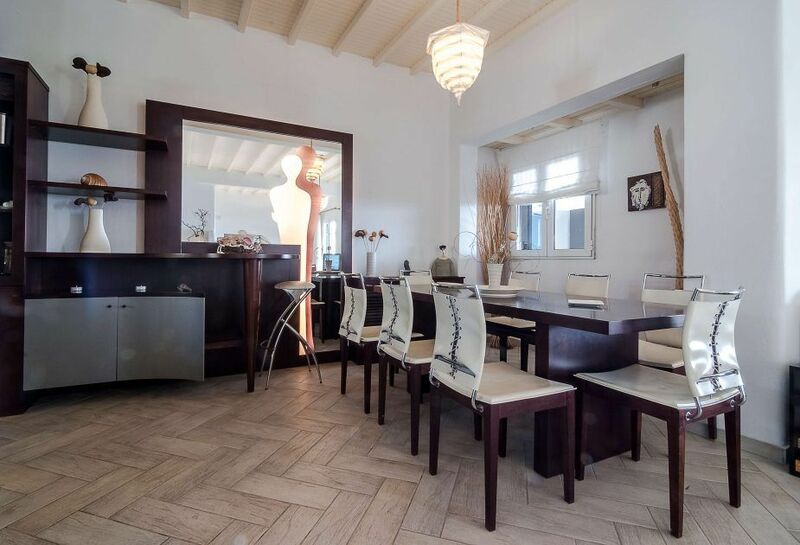 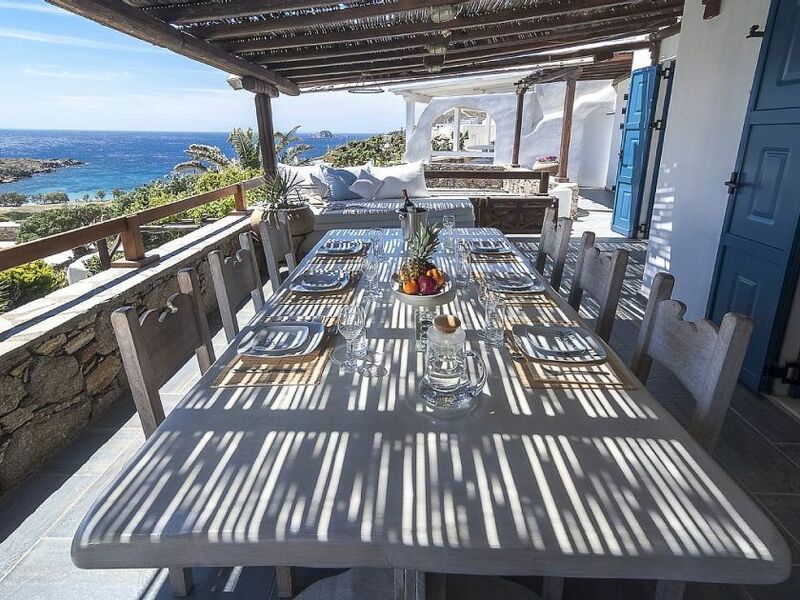 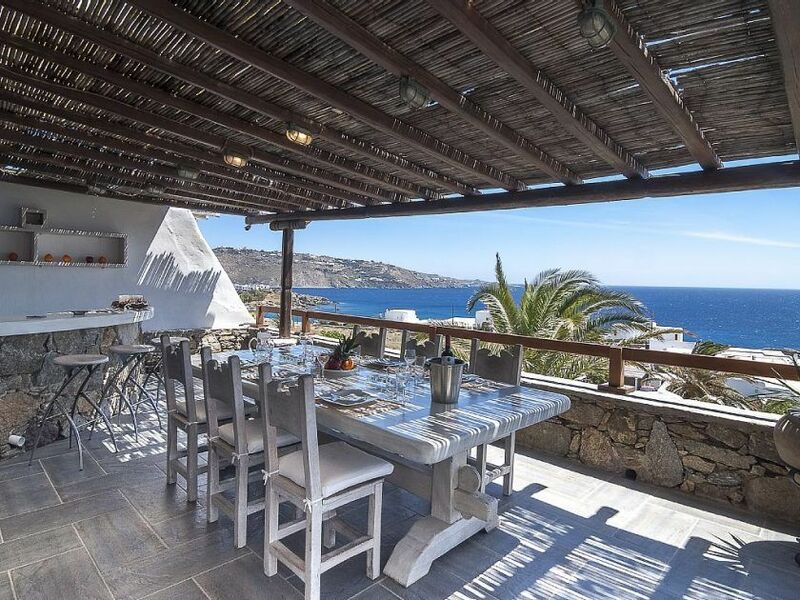 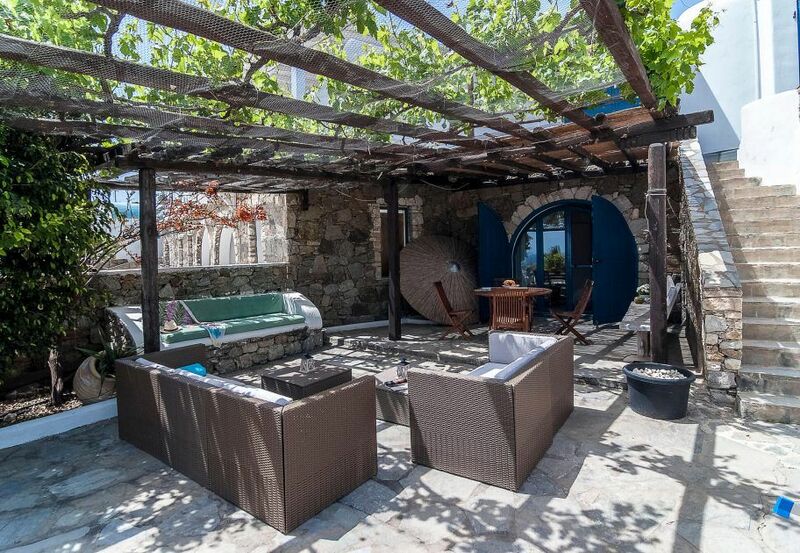 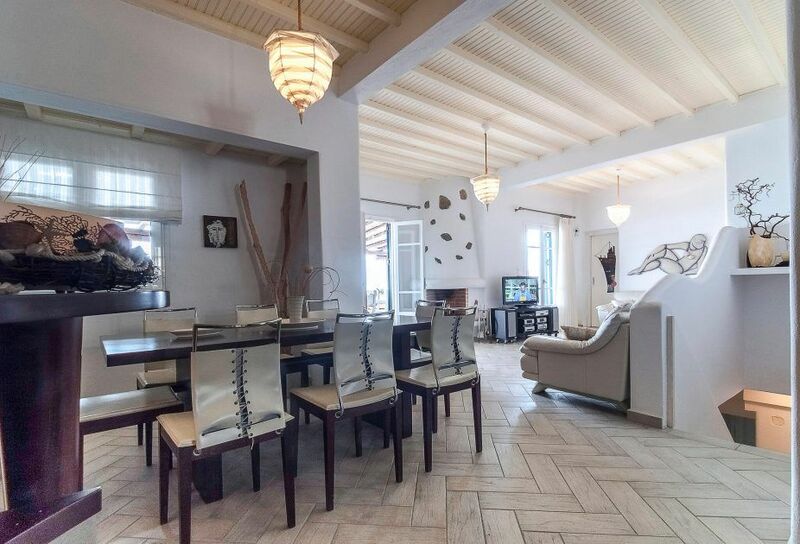 Perfect summer house offered for rent in Mykonos, Greece. 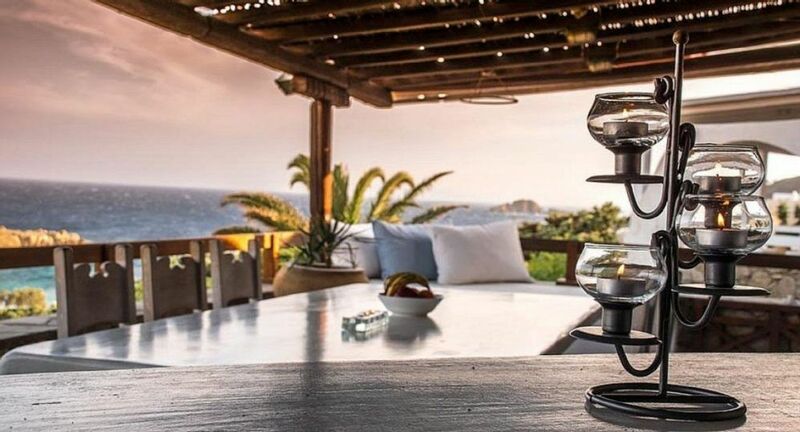 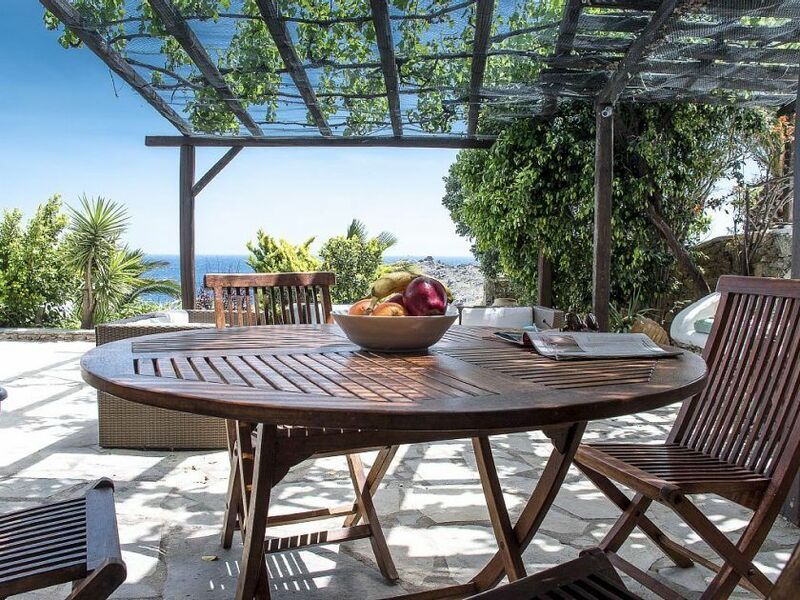 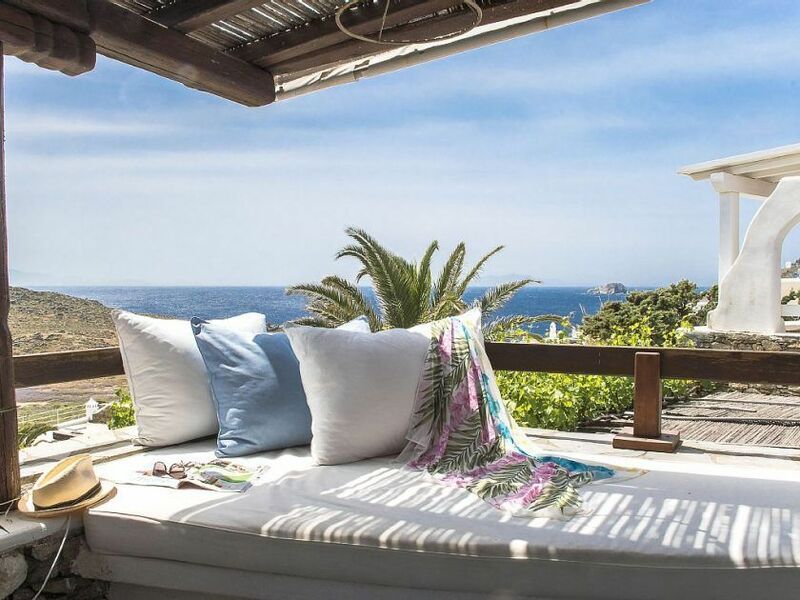 Villa (which is shared only among a few villas), with an amazing unobstructed view of the Aegean from its balcony, boasts only 100 m from the beach, and is located only 2 km away from the center. 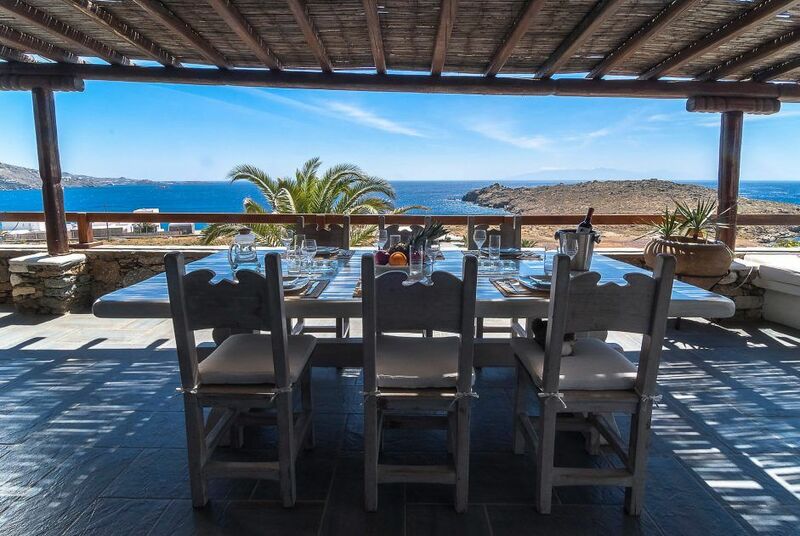 More shopping, dining and entertainment are available in the capital of the island, which is approximately 15 minutes’ away by car. 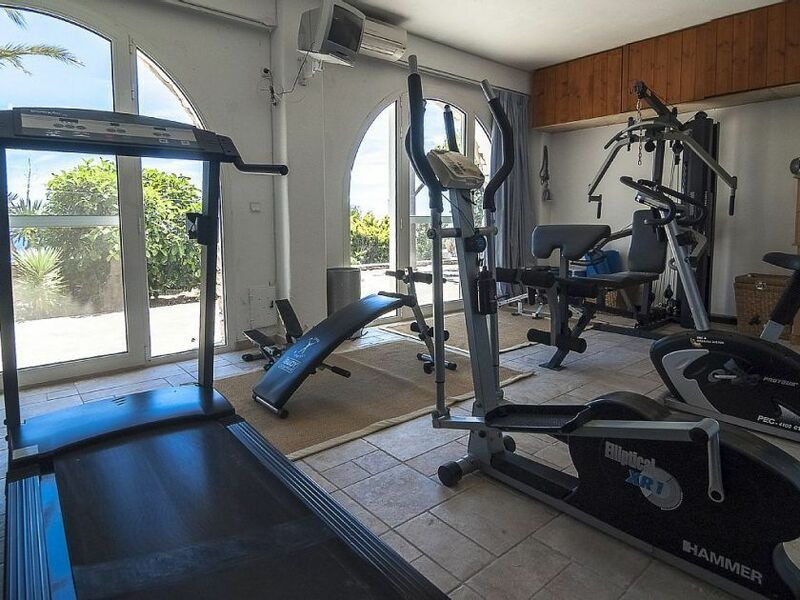 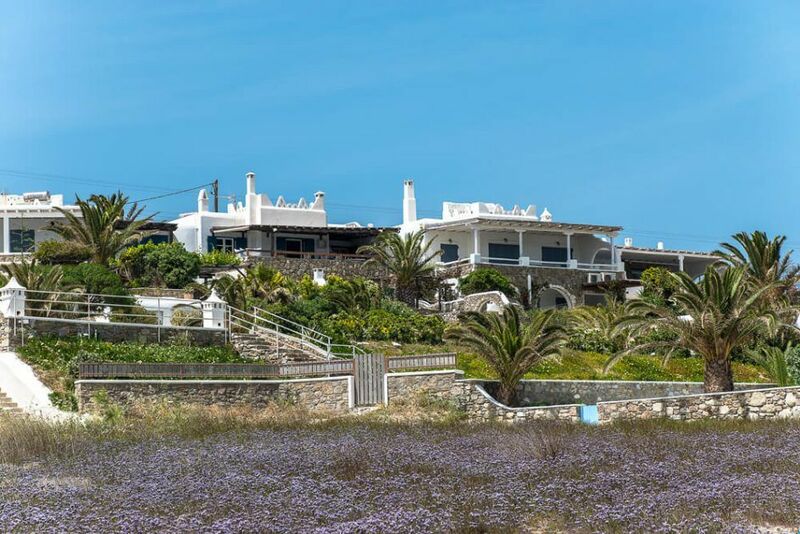 Villa stands independently, fully fenced on large private grounds with garden, share swimming pool. 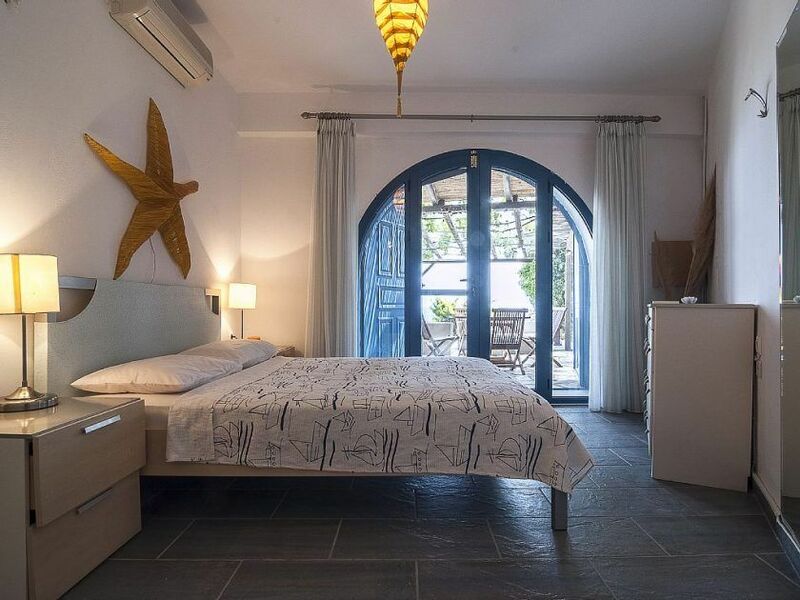 Villa sleeps 12 guests with its 6 bedrooms. 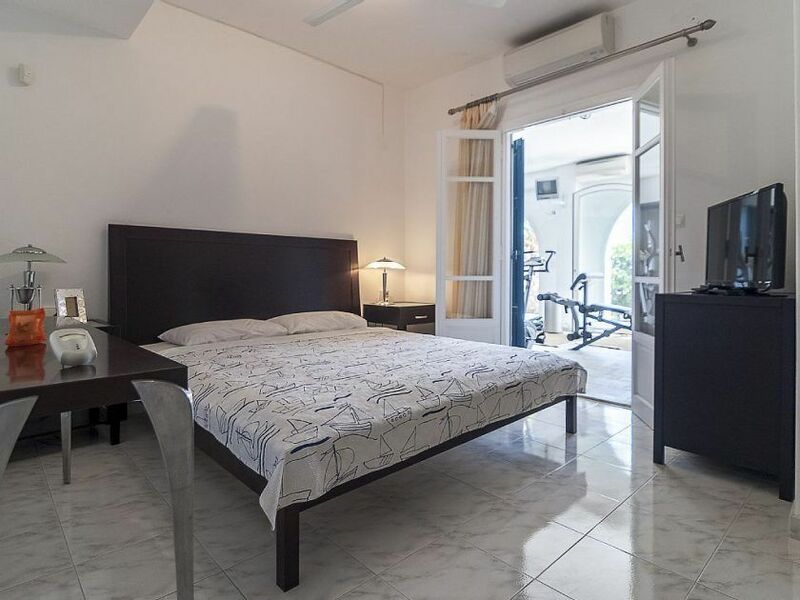 (5 double beds and 1 bedroom with 2 single beds), 4 bathrooms. 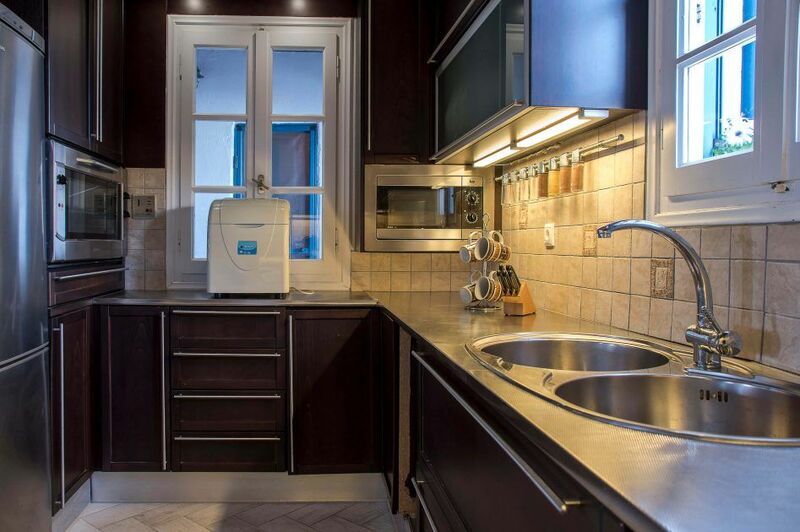 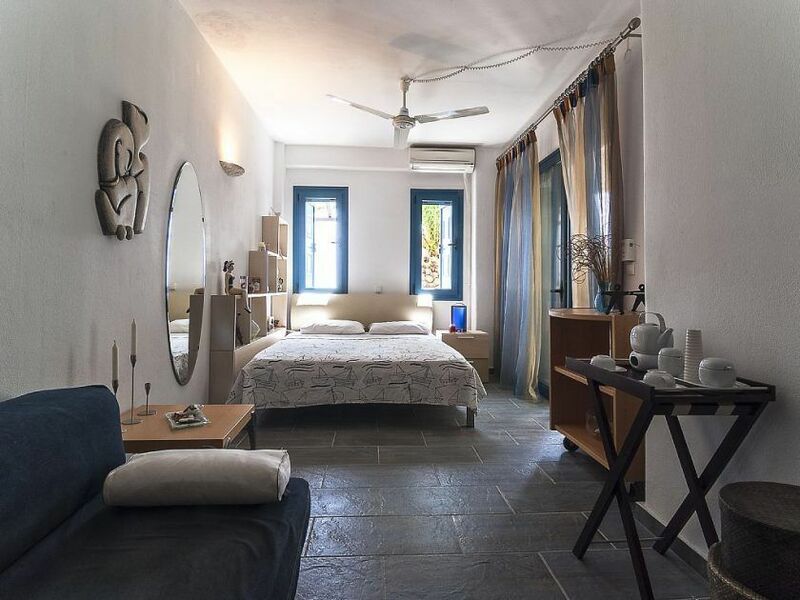 It has very cozy interiors with fully furnished and tastefully decorated. 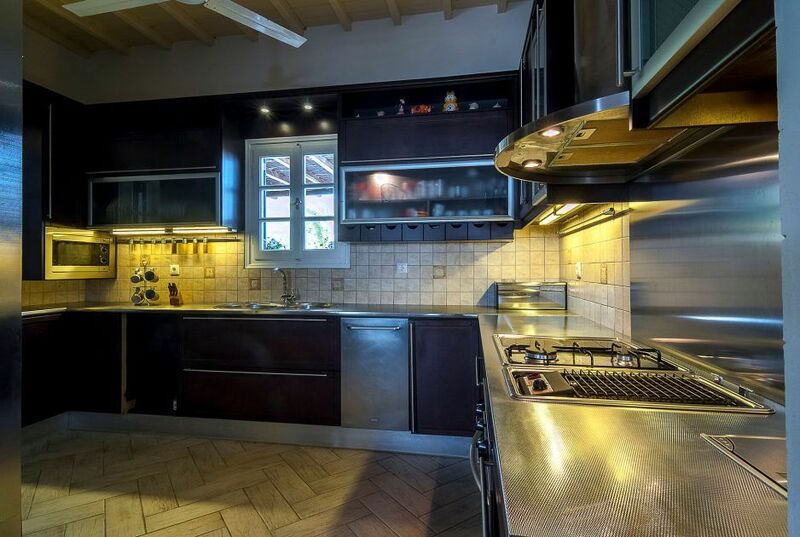 There are many windows, leading daylight in. 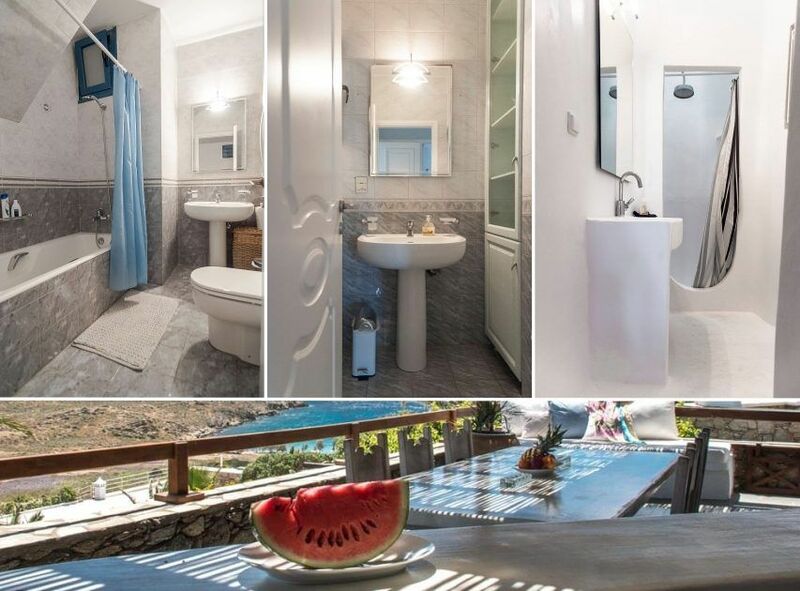 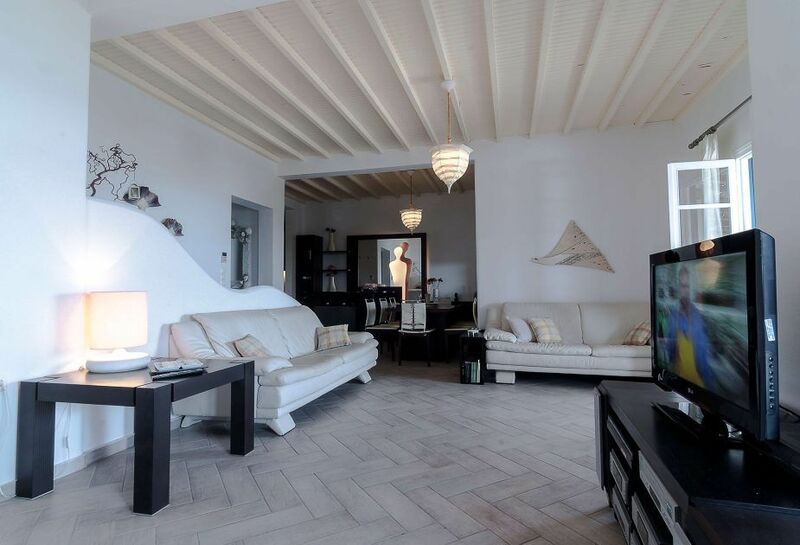 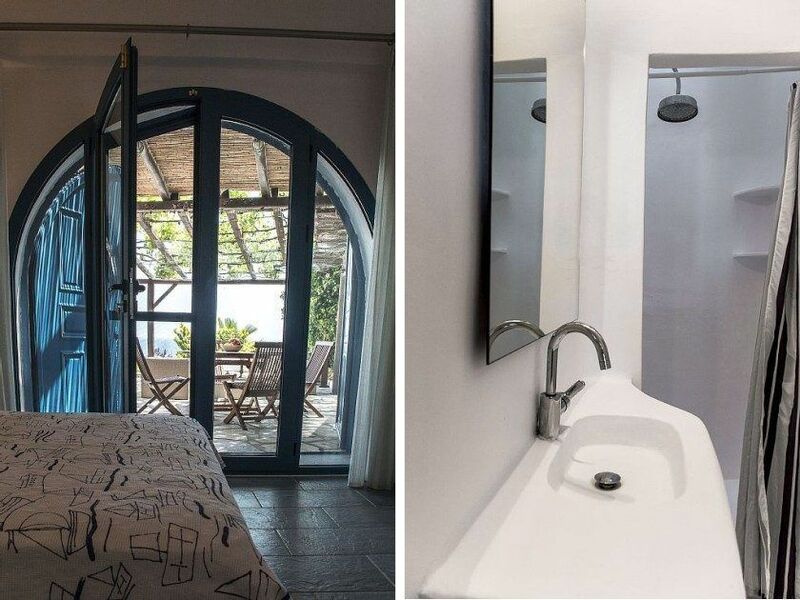 This villa is suitable for both groups or families with kids spending summer in Greece as it has superb location and all contemporary facilities for convenient stay. 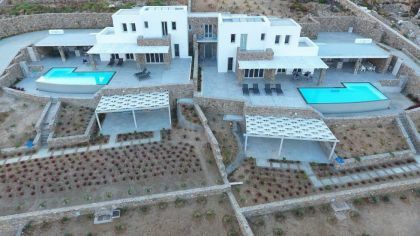 Contact us for more details on this villa and we will assist to organize your best holidays or a memorable event (small chapel located on premises).